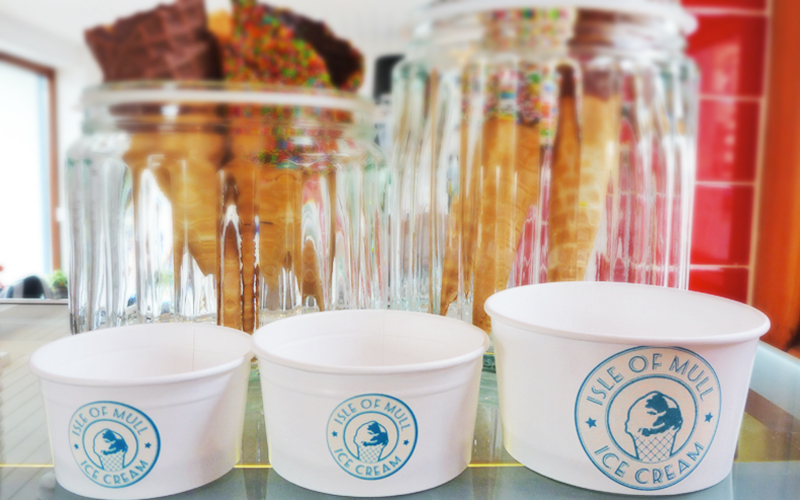 Isle of Mull Ice Cream is an exciting new artisan product made on the Isle of Mull, and is available through our Isle of Mull Ice Cream Parlour on Tobermory Main Street. 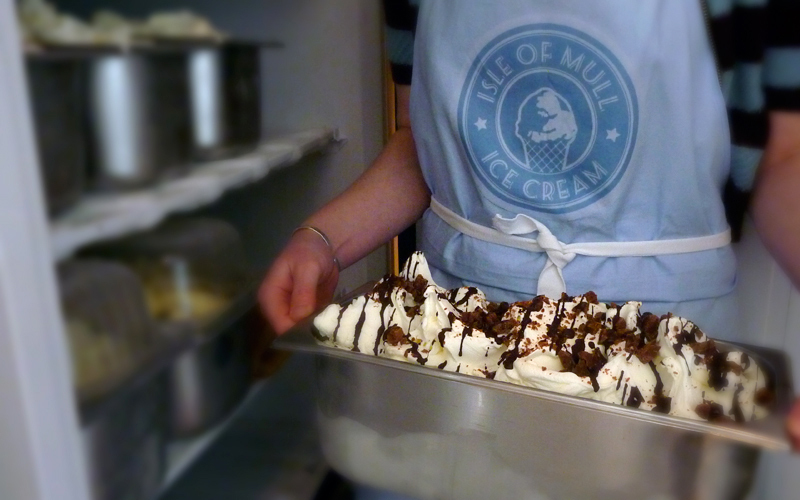 Isle of Mull Ice Cream is made using local dairy produce from Sgriob-ruabh Farm, the only dairy farm on the island, and producers of Isle of Mull Cheese. 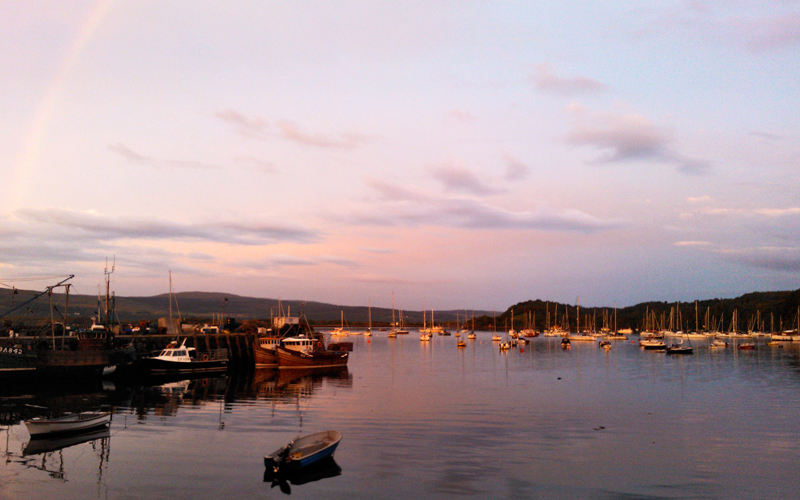 Isle of Mull Ice Cream contains only the finest ingredients. 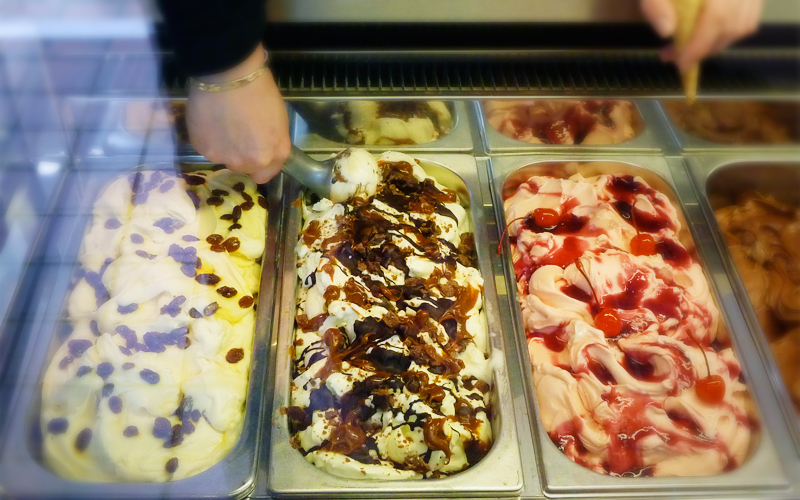 Carefully selected quality produce is sourced locally, wherever possible, to help create unique, seasonal flavours and strengthen the authenticity of the ice cream. 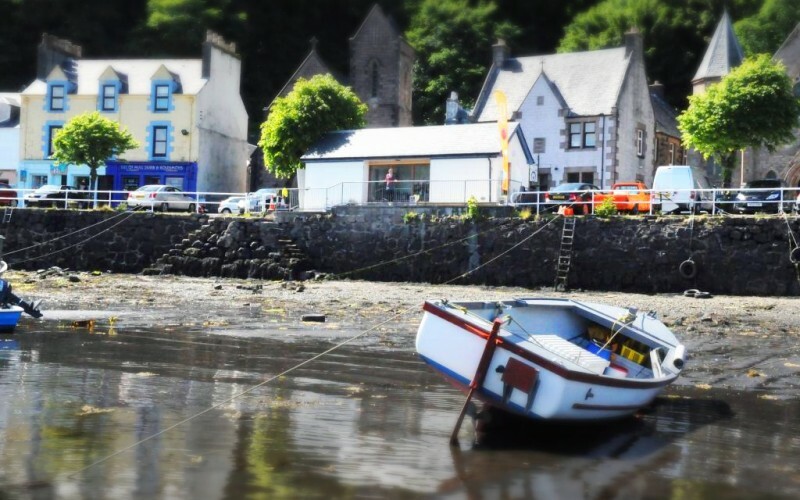 Island Bakery Oat Crumbles and Tobermory Whisky; are just two examples of local products used at Isle of Mull Ice Cream, combined they create our very popular and original Tobermory Whisky Cranachan…! 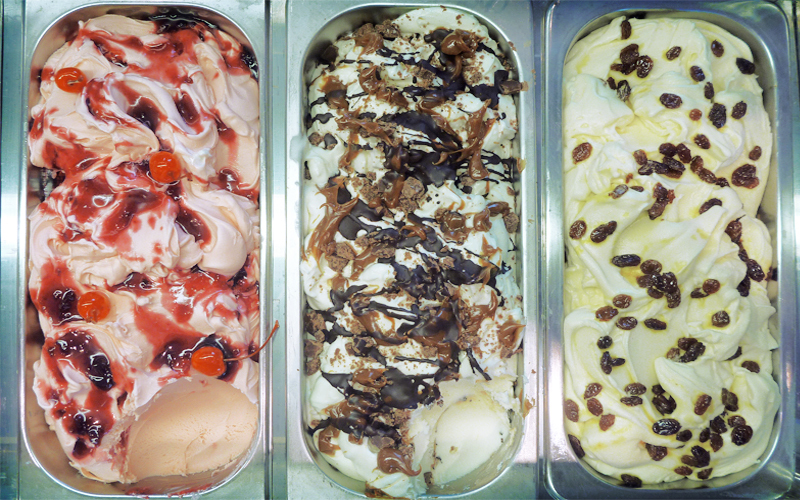 Isle of Mull Ice Cream is carefully handcrafted into unique flavours to suit all tastes, and whilst new flavours are often introduced, the most popular varieties and traditional favourites are also kept in good supply. 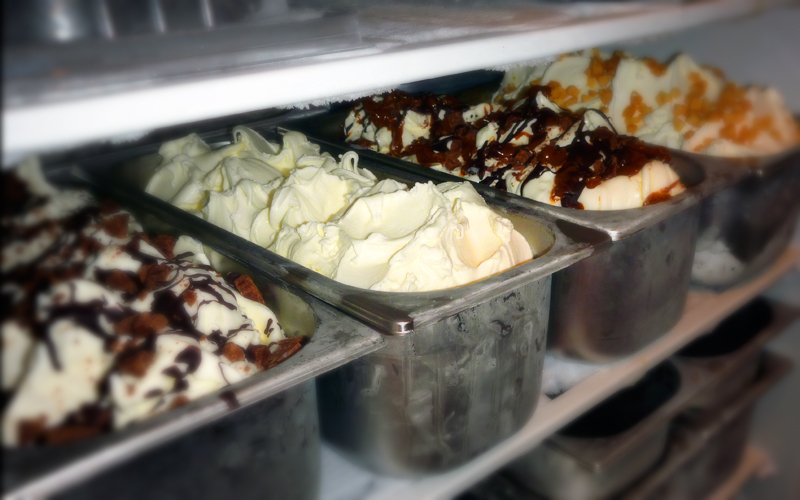 In addition to handmade ice cream, low fat frozen yoghurts and sorbets are made in a variety of exciting flavours. 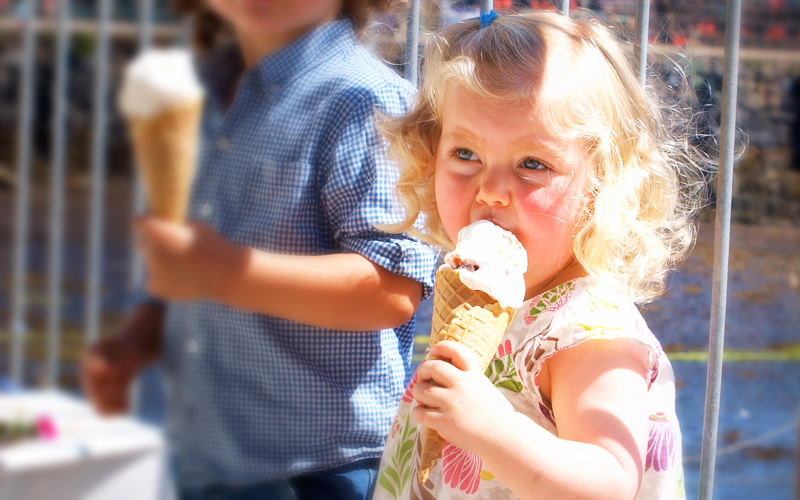 Dark Chocolate and Cherry frozen yoghurt and Pink Grapefruit sorbet are two of our biggest hits. 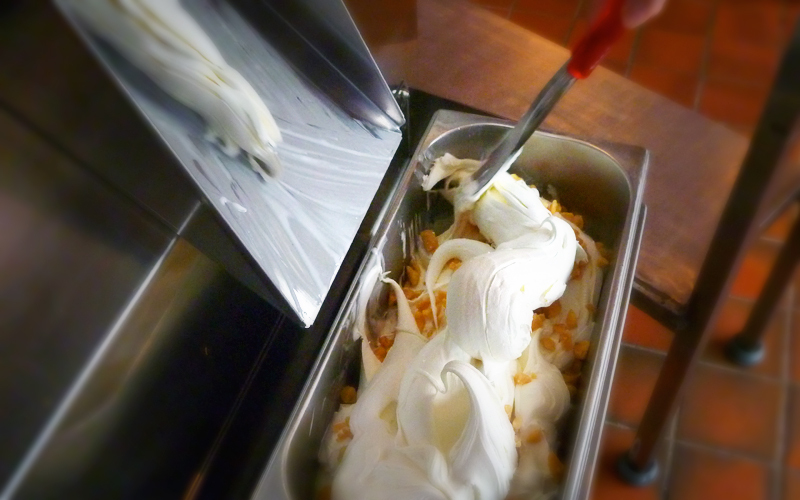 Simply Moo – Isle of Mull Ice Cream at its best…simply superb! Isle of Mull Ice Cream will be available for wholesale to local businesses from the spring of 2014, so please get in touch for more details using the contact form below.